The benefits of owning a pet are worth their weight in gold. From lowered anxiety to boosted immunity, people young and old often reap the rewards of having man’s best friend by their side. And for seniors, research shows that many people actually experience better changes in their overall health from being exposed to animals. 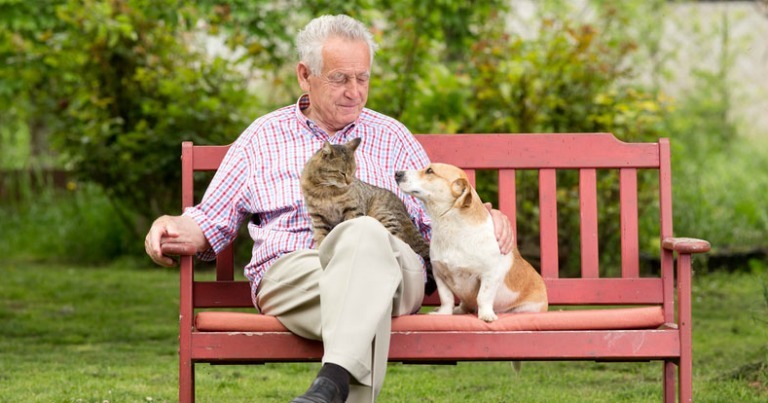 In fact, doctors say that whether you’re receiving in home care services or post-surgery home care, there are a number of physiological and psychological benefits that come from spending time with a pet. Here are a few that Freedom Home Care came up with. Petting your dog for about 15 minutes each day helps release hormones like oxytocin, serotonin, and prolactin – feel good hormones. Pet owners have also shown decreased levels of cortisone – a stress hormone that controls the appetite and cravings for carbohydrates, while displaying enhanced serotonin levels which increase mental alertness, promote sleep, and decrease pain and sensitivity in older loved ones. Researchers believe that animals also aid in recovery and post-recovery maintenance. As the evidence grows in support of these findings, scientists, researchers and doctors work to ensure that animal-assisted therapy will one day become an accepted method of intervention. Taking care of an animal can create a feeling of purpose and responsibility in older loved ones, which can often reduce feelings of boredom and helplessness. Most people may not realize it, but having a pet often results in fewer trips to the hospital, an increase in aerobic activity, a greater desire to plan outings and events, and enhanced social lives. Even with all of the advantages that come with being a pet a parent, there are a few things you may want to consider before your loved one takes on the gift of ownership. Have they had a pet before? Experts say it makes it easier to care for a pet if your senior has owned a pet in the past. Are there disabilities? If your loved one has mobility or other issues that may prevent them from caring for a dog, consider giving them a pet that requires less maintenance, like a cat or bird. What’s the pet’s disposition? Some breeds are easier to train and handle such as a poodle or retriever. memory loss or having trouble communicating? Are they experiencing depression or loneliness? Are they anxious or stressed? A therapy pet may be right for them.